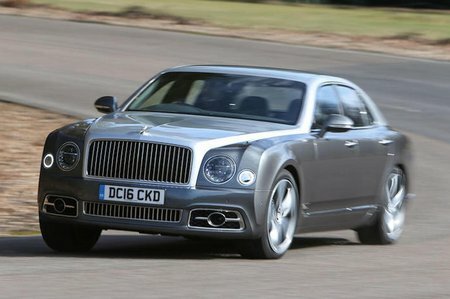 Bentley Mulsanne 6.8 V8 Mulliner Driving Spec 4dr Auto EWB 2019 Review | What Car? This twin-turbocharged V8 coupled to a standard eight-speed automatic gearbox is effortlessly torquey, meaning it’ll whisk you and this 2.6-tonne car along with little fuss while slipping seamlessly through its gears. And flat out it’s pretty quick, too (0-62mph takes 5.2sec), accompanied by a muted but pleasantly throaty burble.